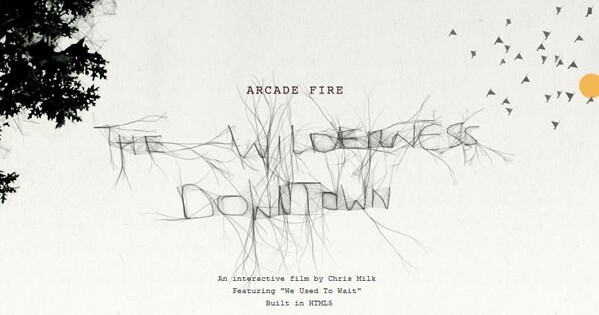 Google Creative Lab has collaborated with the Montreal band, Arcade Fire to create a interactive web movie “The Wilderness Downtown” using Google earth. Director Chris Milk combines the nostalgia of the new Arcade Fire song “We Used to Wait” with Google maps and street view images of the streets where the viewer lived to produce a very impressive combination of art and technology. 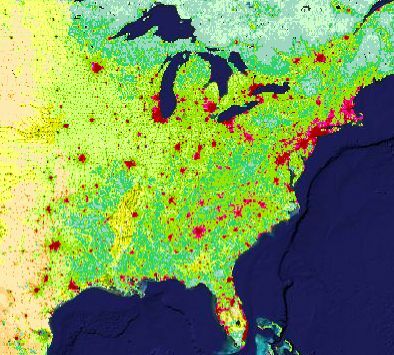 The project came about one day when [director] Chris Milk and I were talking about Chrome Experiments and what can be achieved through a modern web browser and with the power of HTML5 technology,” said Google Creative Lab tech lead and co-creator of the project Aaron Koblin. “We were excited about breaking out of the traditional 4:3 or 16:9 video box, and thinking about how we could take over the whole browser experience. Further, we wanted to make something that used the power of being connected. In contrast to a traditional experience of downloading a pre-packaged video or playing a DVD, we wanted to make something that was incorporating data feeds on the fly, and tailoring the experience to a specific individual. …“Experiences” such as this will evolve to look much slicker in the future, but already, they’re capable of some fairly incredible maneuvers, integrating Arcade Fire’s stirring music with data from Google Maps and Google Street View, topping it all off with input from the user. We’re impressed, but some streamlining will be required if bands that aren’t big enough to play Madison Square Garden, as Arcade Fire is, are going to be able to offer it. We counted a full 111 names in the credits.